Henry Winkler, who played the Fonz, is now about to start a new role on CBBC as a teacher called Mr Rock in a new programme based on his children's books. After being diagnosed with dyslexia as an adult, Winkler wrote his first book - Hank Zipzer: The World's Greatest Underachiever, that described the adventures of 12-year-old Hank. and based on the actor's own experiences growing up with the learning disorder – which of course remained undiagnosed and would have heavily influenced his experience of childhood. Hank will now be the star of a new 13 part run on CBBC. 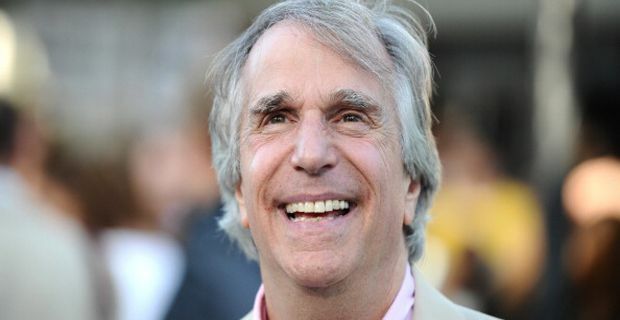 "The stories are inspired by the true life experiences of Henry Winkler and how he felt he felt growing up with dyslexia," said executive producer Sue Nott. "At CBBC, we try to reflect the lives of children back at them and Hank Zipzer shows that achievement comes in all shapes and sizes - and it's set to be very funny too." Winkler has long toured schools in the UK, talking to children about his dyslexia, and was awarded an honorary OBE in 2011 for his charity work.